Our interdisciplinary team will work with you to develop a comprehensive plan to help you regain your health and strength. 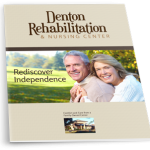 Over the years, Denton Rehabilitation and Nursing has built a strong reputation in the community as experts in skilled nursing with a therapy team that gets results. 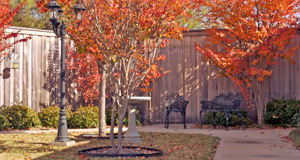 The individualized rehabilitation programs developed by our Physical Therapists are recognized and approved by many of the leading Denton area physicians. Our experienced and highly skilled therapists are dedicated to developing a personalized rehabilitation program designed around your individual needs. 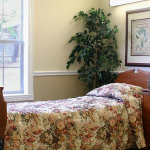 Your recovery will begin with a comprehensive assessment by members of our rehabilitation team. A Physical Therapist will create a plan of care to help you improve your strength, balance, and endurance. An Occupational Therapist will work with you to master activities of daily living such as bathing, dressing, meal preparation, and other skills. A Speech Therapist is available to work with you in the areas of swallowing, speech, memory and cognition. Our advanced Physical Therapy, Occupational Therapy, and Speech Therapy services are aimed at helping you regain your strength and mobility, and getting you back to your full health and your desired discharge plan. Wow! What progress we have seen over the past two months for Mr. P. We are so grateful for your quality therapy. How blessed we are to have such a special facility with such competent and friendly staff.